It’s a welcome adventure to grab a friend or two, pack up some goodies, and head to an outdoor location to share some relaxing time together. However, as the summer season comes to a close, you may get your fair share of extreme heat, or just the opposite, an unexpected downpour of rain. Here are three ways to have a picnic-themed party in any weather, outside or in. Of course, a traditional picnic is, by definition, “an outing or occasion that involves taking a packed meal to be eaten outdoors” (thanks, Google definitions). However, you don’t have to adhere to the traditional red-checked cloth and covered-picnic-basket theme. Any basket you may have around the house will do to carry your picnic items. Look for one that is hefty enough to hold heavy items like a bottle of wine or champagne, if needed. Consider a bento box for transporting your food. It provides a neatly organized container for combining delicious ingredients, perfect for a picnic. Speaking of ingredients, there’s no need to fuss too much about what to bring. You can create a lovely offering with whatever you have on hand. Scan your pantry and fridge to see what will travel well, such as packaged food or something that can be easily wrapped up. 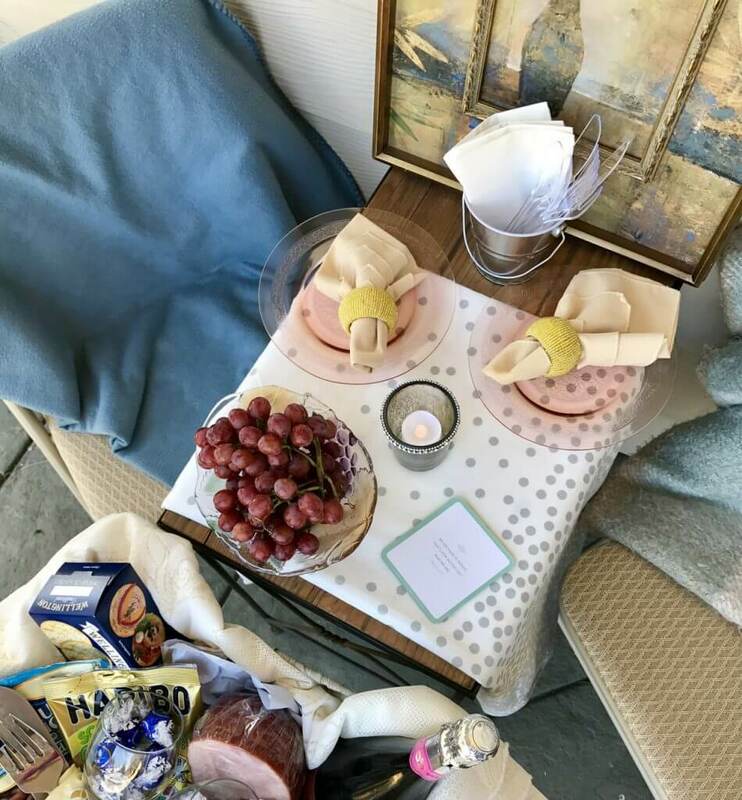 If you don’t have a large blanket to place on the ground, you can use a tablecloth (that you don’t mind getting grassy) and then bring pillows for cushioned seating. Remember to pack cutlery (silver or plastic will do, depending on your mood). Include small plates, napkins, and any other serving accessories you may need. If it’s just too hot or too wet to be out in nature, you can set up your picnic on an inviting porch. Create a cozy setting for two or more, with folding chairs or stools draped with soft blankets. A petite garden table is perfect for serving your meal. Bring some inside décor to your outside setting. A framed picture creates a charming café feel. A little flickering candle provides romantic ambience, even on a sunny day. If the weather is just too much to bear, you can bring your picnic completely inside. 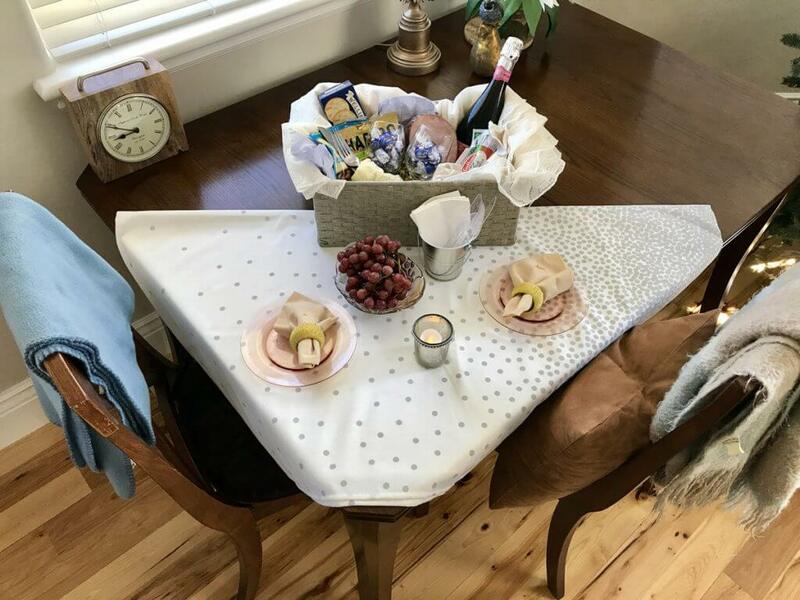 Set up your basket on a pretty tablecloth at the dinner table. Or, toss your picnic blanket on the floor and place your dining accoutrements on top of it. Kick off your shoes, and enjoy your food and drink without any inconvenient weather elements to bother you. This delicious Arugula Walnut Past Picnic Salad will wow your party guests. It’s easy to prepare, with bold flavors and fresh, seasonal ingredients. For an indoor or outdoor picnic, brew up some delicious tea like Easy To Be Green, a tasty blueberry and hibiscus green tea blend perfect for sun tea or cold-brewed iced tea. 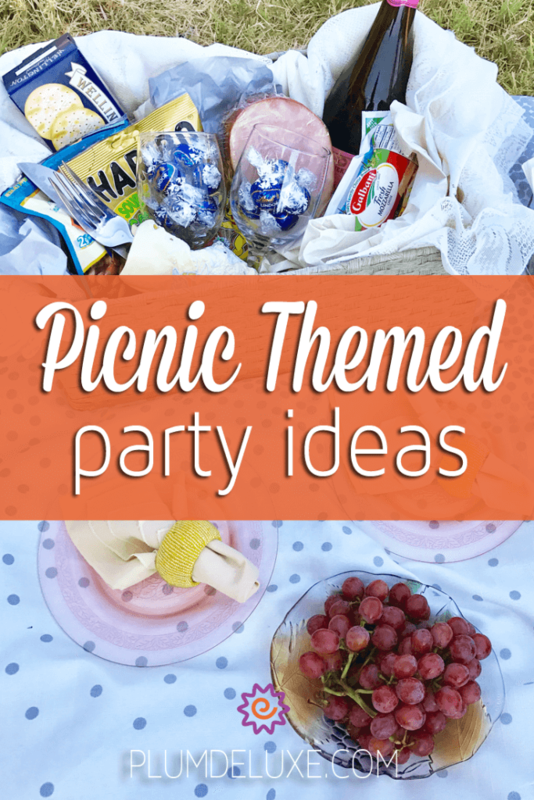 It’s easy to have a picnic-themed party whenever you like, whether indoors or outdoors. With a little creativity, you can provide a delightful and memorable setting in which you can enjoy spending quality time with your friends.